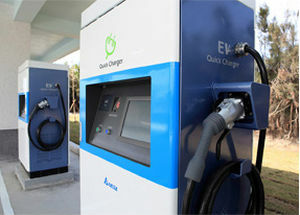 Multi-chemistry battery charger / floor-standing / smart / automatic - Delta Electronics, Inc.
Electricity - Electronics - Optics > Power Supply > Multi-chemistry battery charger > Delta Electronics, Inc.
Delta is your partner for fast deployment of smart EV charging infrastructure worldwide. Delta offers a complete range of proven EV charging solutions to help you go to market with ease. Rely on Delta to deliver EV charging systems to meet your various charging demands. Begin your green business initiative with Deltas smart and energy efficient charging solutions for a cleaner environment.